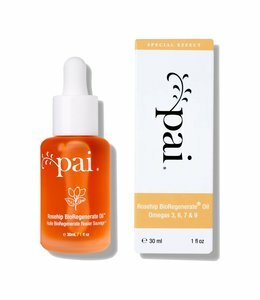 Bursting with Omega 3 & Vitamins A, B & E, it replenishes the skin's moisture barrier, leaving it soft and supple. 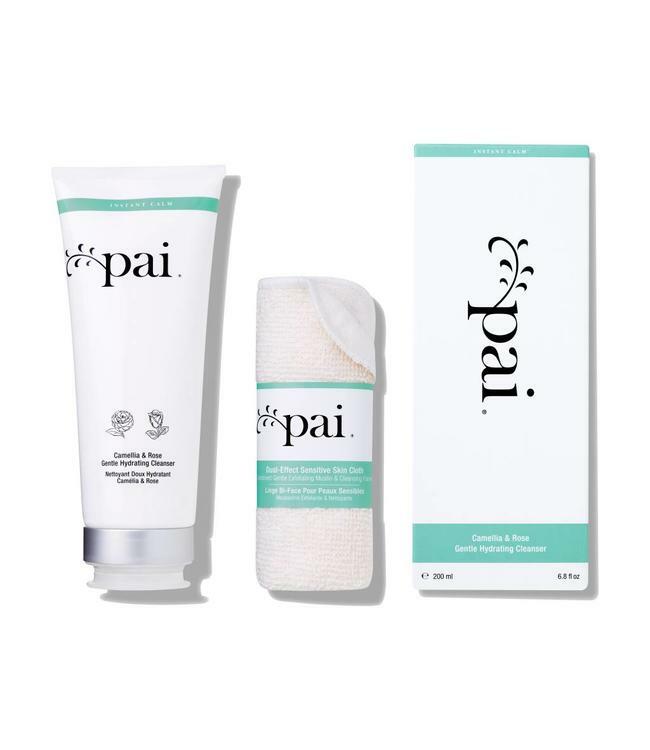 The exfoliating muslin cloth lifts away dead skin cells to leave a smooth, even complexion. 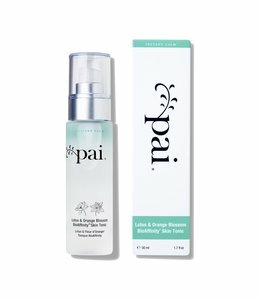 Suitable for all sensitive skin types, the Pai Hydrating Cleanser is detergent and alcohol-free, so won't dry out or irritate your skin. Also suitable to use around the eyes to remove even waterproof mascara. 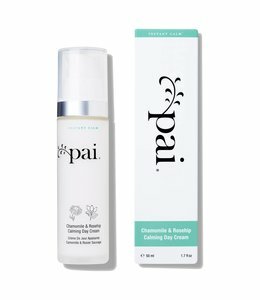 Gentle cleansing action for dry, delicate and sensitive skin. Glides easily over skin, melting make-up and impurities. Alcohol and Detergent-free formula maintains the skin's natural oil balance. Dual action eye makeup remover. Eyes: Pump one dose of cleansing cream on to a cotton wool pad and gently pull the pad across the eye lid to gently lift away make-up. Camellia: This rare oil has been used in Japan for centuries as a skin cleanser and conditioner. Packed full of omega 3 and vitamins A, B, C & E - it is the ultimate skin tonic. Rose: Helps skin to retain moisture. 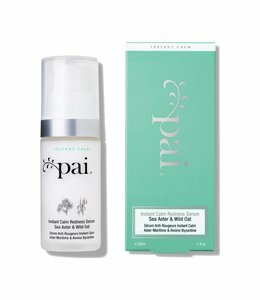 Its rejuvenating and restorative properties leave skin beautifully toned and hydrated. Gently massage 2-3 pumps of cleansing cream onto dry skin. Remove with a warm damp muslin cloth using a circular motion.Rinse the cloth and repeat the exercise until all the cream has been removed. Finish with a splash of cold water to the face.